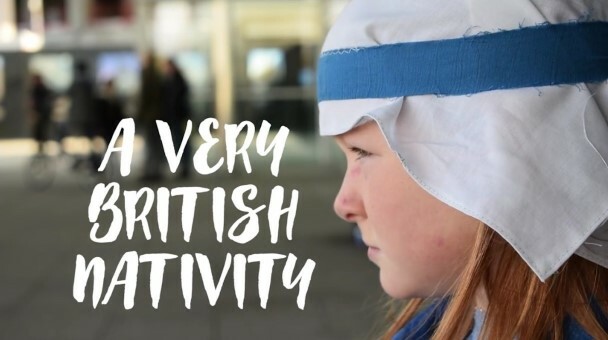 A new film released today highlights some of the challenges facing asylum seekers in the UK through a modern retelling of the nativity story. This release comes the day after new figures from the Government were published revealing that in September of this year 37,958 asylum seekers in the UK were in receipt of accommodation and/or financial support of less than £6 per day. The film was produced by a coalition of four Church denominations in the UK: the Baptist Union of Great Britain, the Church of Scotland, the Methodist Church and the United Reformed Church. Director of the film and policy adviser for the Churches, Grace Pengelly commented: “Our Churches are very concerned about the degrading treatment and challenges faced by asylum seekers in the UK. It is sometimes all too easy to forget that many seeking asylum have already experienced a great deal of trauma. Rather than providing the standard of care that we would wish for ourselves, many aspects of the UK’s asylum system appear to add to the suffering already endured by those seeking refuge. A Very British Nativity launches the day after the release of the Government’s quarterly migration statistics, which show that in September 37,958 asylum seekers received support from the Government’s National Asylum Support Service, which means they qualify for accommodation and/or financial support of less than £6 per day. The report also reveals that so far in 2016, 45% of appeals made by asylum seekers were allowed, indicating that the system currently in place is struggling to adequately assess the needs of asylum seekers.